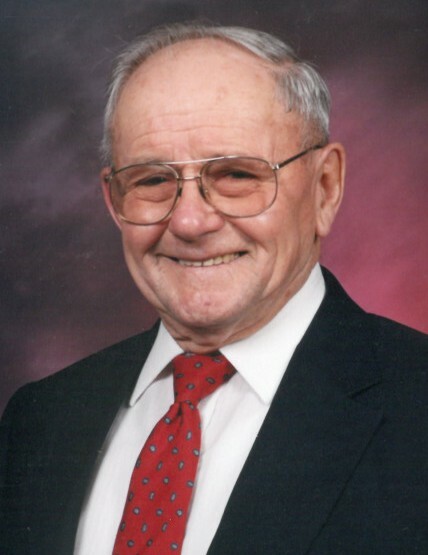 Virgil A. Warkenthien, age 92, of Alexandria, died Tuesday, December 4, 2018, at Edgewood Senior Living in Alexandria. A funeral service will be held at 11 a.m., Tuesday, December 11, 2018, at Alexandria Covenant Church with Rev. John LeVahn officiating. Burial will take place at Evergreen Cemetery, Alexandria. A visitation will be held from 5-7 p.m., Monday, December 10, 2018, at Lind Family Funeral Home in Alexandria and will continue one hour prior to the service at the church. Virgil Arnold was born on August 31, 1926, to Arnold and Mable (Rennie) Warkenthien on the family farm near Naples, South Dakota. He was baptized and confirmed in the Lutheran faith. He attended country school until 1937, when the family moved to Clark, South Dakota, following the death of his father. He continued his education at the Clark Public Schools and graduated in 1944. He was united in marriage to Clarine Evans on December 21, 1948, at the Methodist Church in Garden City, South Dakota. Together, they farmed in the Clark community until they moved to Hayti, South Dakota. In 1960, they moved to Alexandria, Minnesota where Virgil farmed and worked for the Land O Lakes propane gas business for 26 years. Virgil was a member of Alexandria Covenant Church, Good Sam Camping Club, and was a former member of Alexandria Round Squares. He enjoyed outdoor activities, camping, square dancing, woodworking and reading. He loved horses and in his earlier years enjoyed trail rides with their horses. He enjoyed spending Friday mornings for many years folding church bulletins and Tuesday morning breakfast with friends. Virgil and Clarine spent many winters in Florida and Arizona and especially enjoyed being with friends and family. He was preceded in death by his grandparents; father, Arnold; mother and step-father, Mable and Sidney Stacy; aunts, uncles, cousins and a half-brother. Virgil is survived by his wife of 69 years, Clarine; children, DeAnn Myers of Rapid City, South Dakota; Douglas Warkenthien of Woodbury, Minnesota and Rebecca (Mark) McCabe of Alexandria; seven grandchildren, Stephanie (Mike) Lukkes, Jessica (Brad) Bookbinder, Justin (Faith) Warkenthien, Chelsea Warkenthien, Branden (Breanna) McCabe, Travis McCabe and Nicholas McCabe; and seven great-granchildren.